Gathering, or ruching, is a technique used to bunch together a length of fabric to create a ruffled effect. 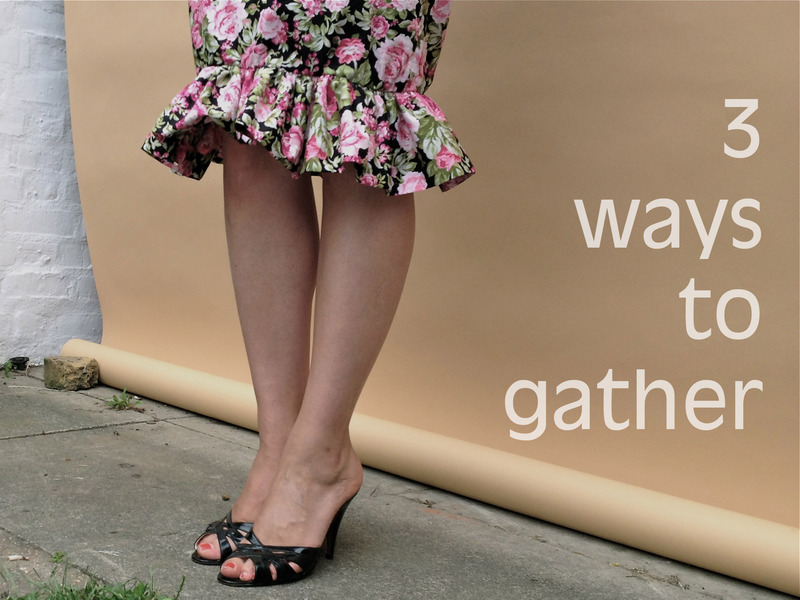 Gathering is most commonly associated with gathered skirts (aka Dirndl skirts) whereby a long rectangle of fabric is gathered at the waist resulting in a full skirt with pretty ruffled folds at the waistline (more to come on gathered skirts soon…). Among other things, gathering can also be used to create puffed sleeves and to manage fullness in maternity-wear. Gathering is also the technique we have applied to the peplum and ruffle-hem variations of one of our soon-to-come sewing patterns, the Charlotte skirt. 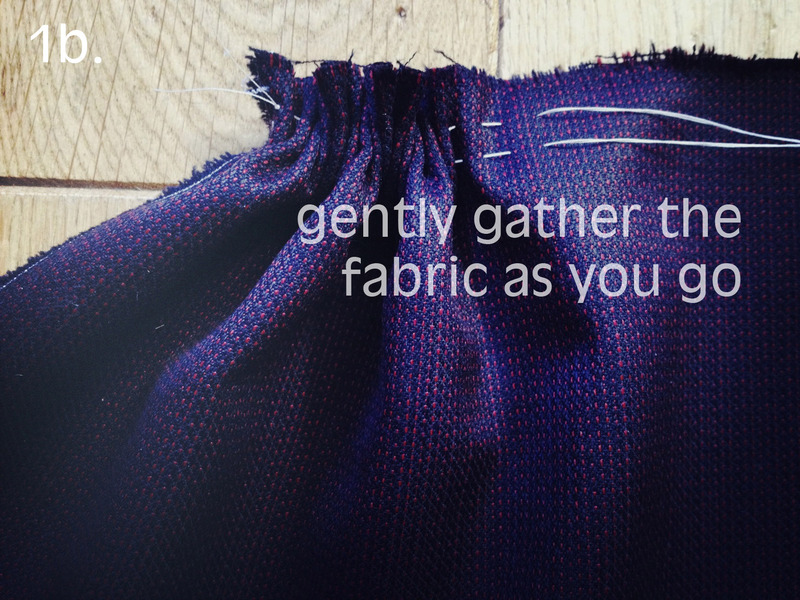 In this tutorial we will take you through three basic ways to gather fabric. Gathering by hand is the traditional way to do it. 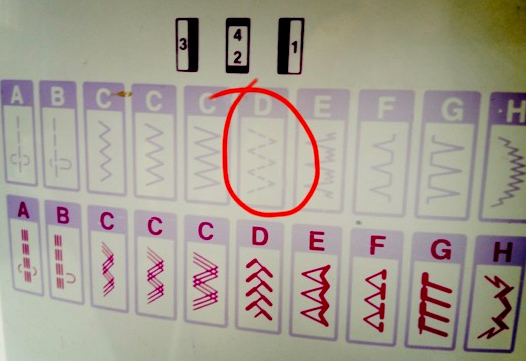 It may seem time consuming to the impatient seamstress (only pointing fingers at myself here! ), but it still remains the sure fire way to go, in my opinion. Applicable to any weight fabric; gathering by hand also enables you to determine the size of the folds simply by adapting the width of your stitches, which is something you can’t achieve when gathering by machine. 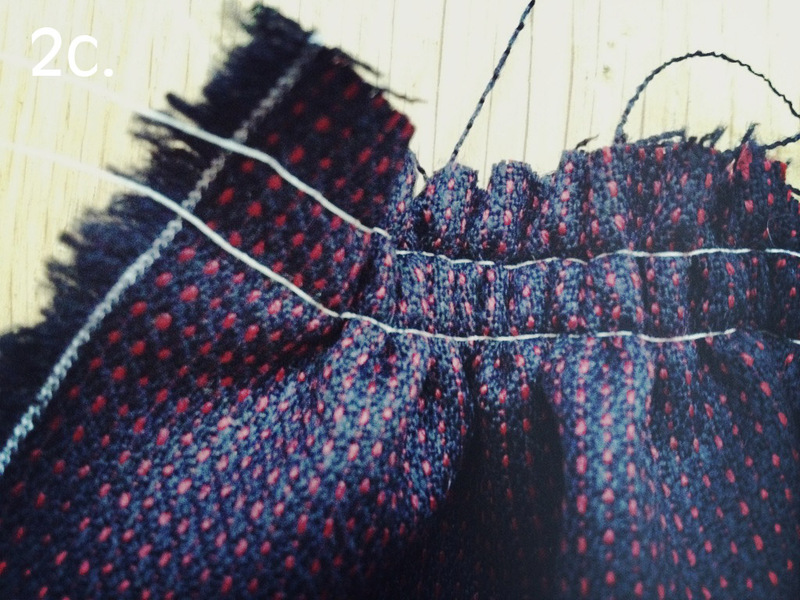 Begin by threading up 2 hand sewing needles – thread doubled up and knotted securely at the ends. Your thread needs to be a little longer than the final length you want your fabric to be when gathered. 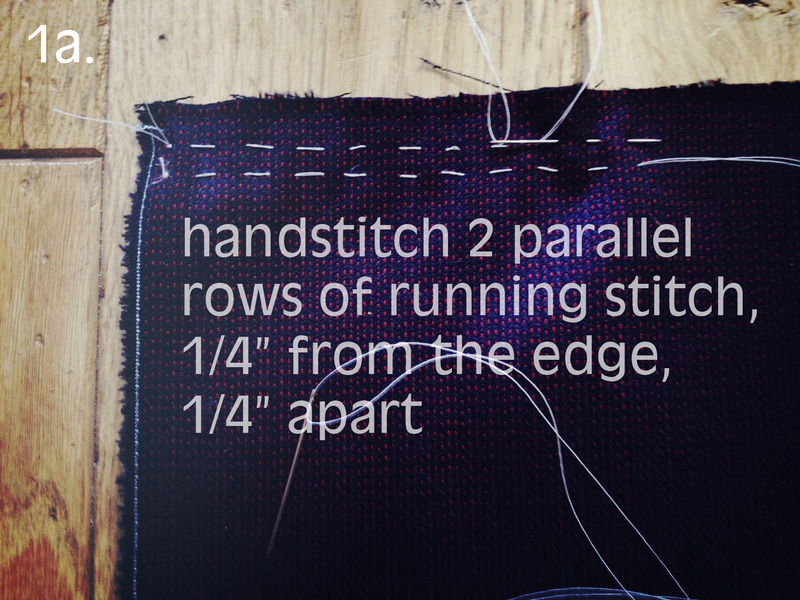 Now handstitch 2 rows of running stitch 1/4″ from the edge of the fabric and 1/4″ apart from each other. Gently push the fabric towards the knotted end of the thread as you go. When you get to the end, double check that the length of your gathered fabric is as you want it, and that the gathers are evenly spaced. When you’re happy, knot the 2 free ends of thread together thereby securing your gathers. 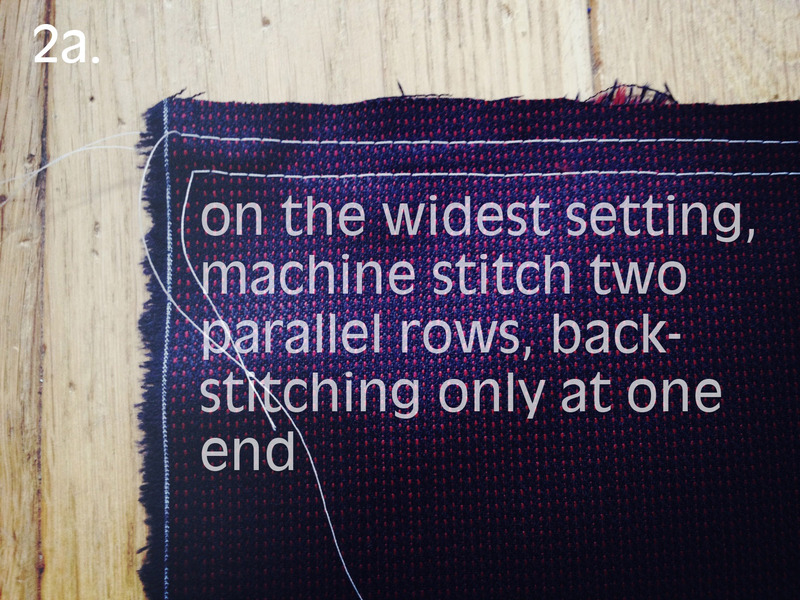 Baste into place by running a row or 2 of wide stitches on your machine. When gathering lightweight fabrics such as cotton lawn, voile, organza, netting etc, gathering by machine is much faster. We do not recommend this method for heavier fabrics such as wool or twill as you won’t get such a good gather, and the threads are more likely to snap as you pull back the fabric (soooo frustrating and totally happened as we were putting this tutorial together!). Start by machine stitching 2 rows down the length you want to gather, 1/4″ from the edge and 1/4″ apart. Choose the widest stitch setting for this. Backstitch only at one end. Now you need to start gathering from the end you didn’t backstitch. 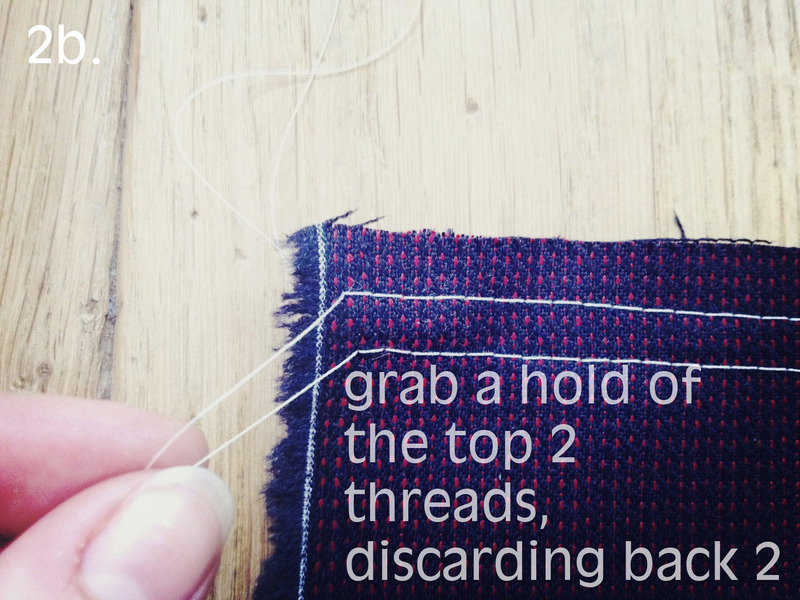 Grab the 2 loose threads facing you and discard the 2 at the back of the fabric. Being very careful not to snap the threads, gently push the fabric towards the backstitched end. Secure your gathers as outlined in technique #1. The cheaters way! This technique is by far the fastest and works on any weight fabric. Only avoid gathering with elastic if you don’t want any extra bulk on the gathers. 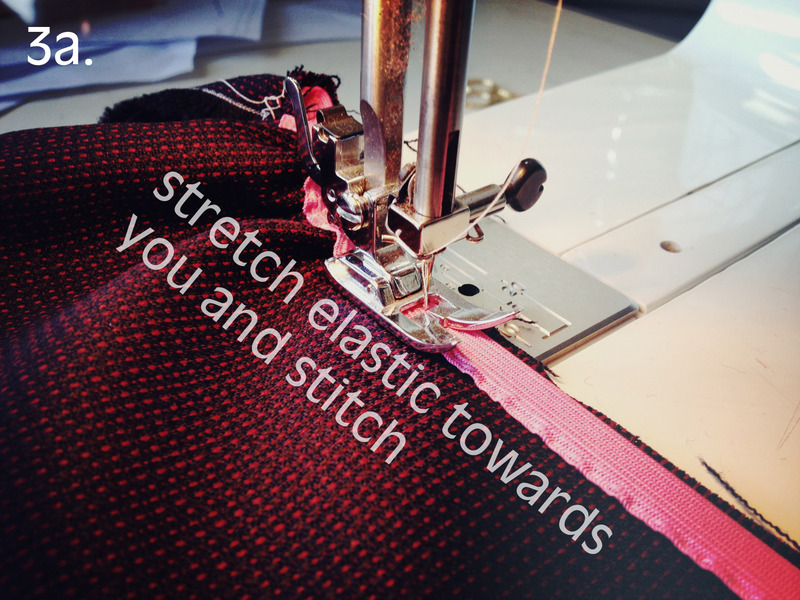 Stretch the elastic towards you as far as it will go and carefully stitch, firmly holding the fabric from the back and feeding it through from the front. It’s a good idea to practice with some scraps as it can be a little tricky at first getting the stretched elastic and fabric to go through the machine smoothly – but it’s pretty easy to get the hang of… and so worth it! This entry was posted on September 27, 2012 by byhandlondon in Sewing tutorial and tagged gathering, ruching, sewing, technique, tutorial.